Lillian Michiko Blakey is a Sansei, a third generation Canadian. She is a past president of the Ontario Society of Artists, which was founded in 1872. Her artwork can be found in the Government of Ontario Art Collection and the Nikkei National Museum in Burnaby, British Columbia, as well as in private collections in many countries. Her current work tells her family’s story over many generations. Some works show events which changed the course of history; some show reflection and anticipation; others merely reflect human existence in everyday activities. Who am I? Being both Canadian and Japanese, the nature of my identity has been a troubling issue. 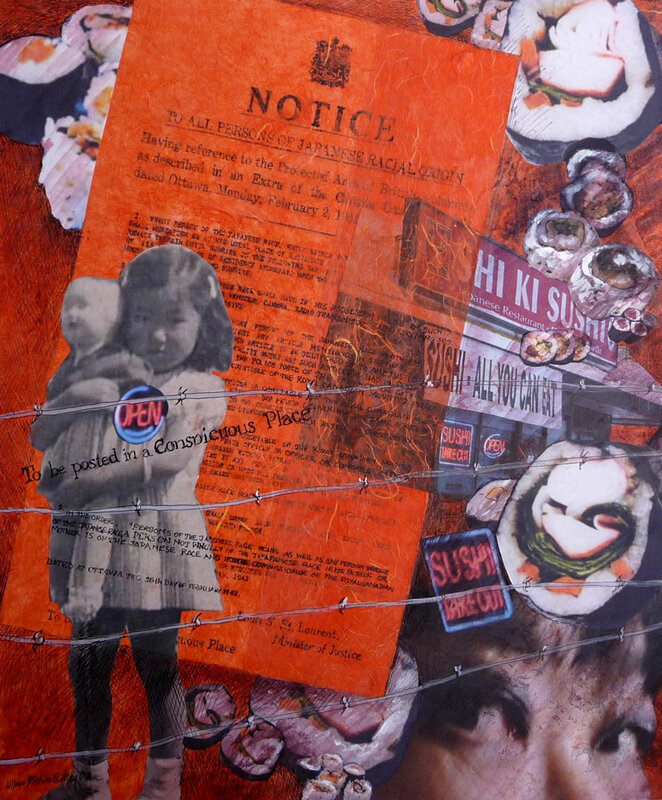 On the one hand, I inherited the strong feelings of shame that Japanese Canadians experienced following the repressive actions of the Canadian government in World War II. On the other hand, there is the fact my family members have been loyal Canadians for over 100 years and I have nothing to be ashamed of. Nevertheless, I grew up denying my cultural roots, my first language and my people. 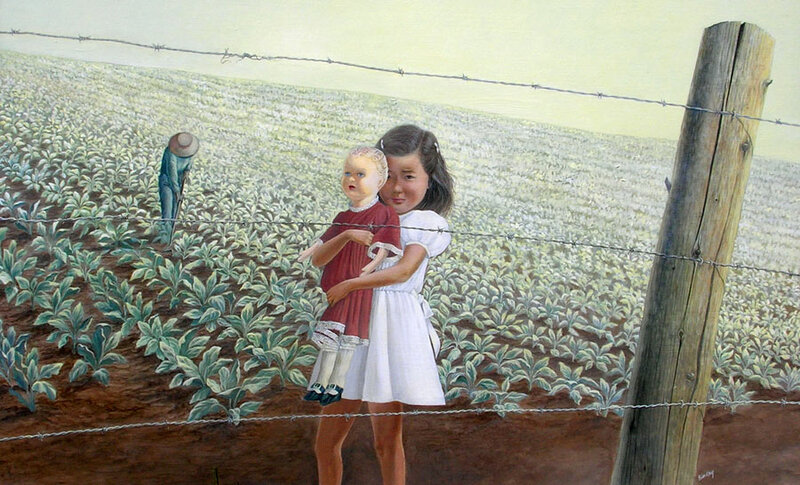 In recent years, I have tried to reconcile my dilemma by depicting my family's story in my art. I have attempted to bring past and present together by including myself, as I am now, looking back at the events which happened so long ago and analysing the effects on succeeding generations. Alienation and persecution continue to be suffered by people all over the world. Many people have come to Canada seeking a peaceful existence in a just society. 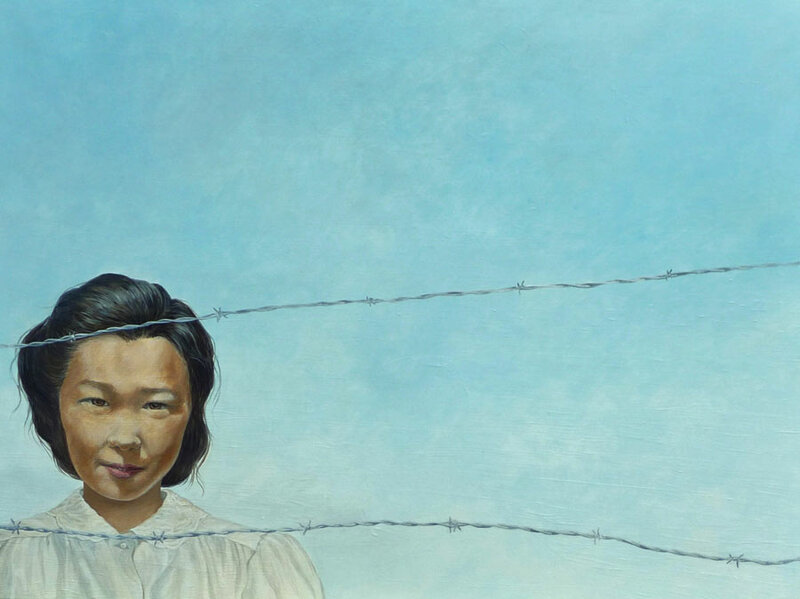 I hope that my work serves as a tribute to my courageous family who came before me, and as a visual warning that the persecution suffered by any family can be repeated, even in the most democratic of countries – even in Canada – if we are not vigilant.